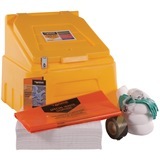 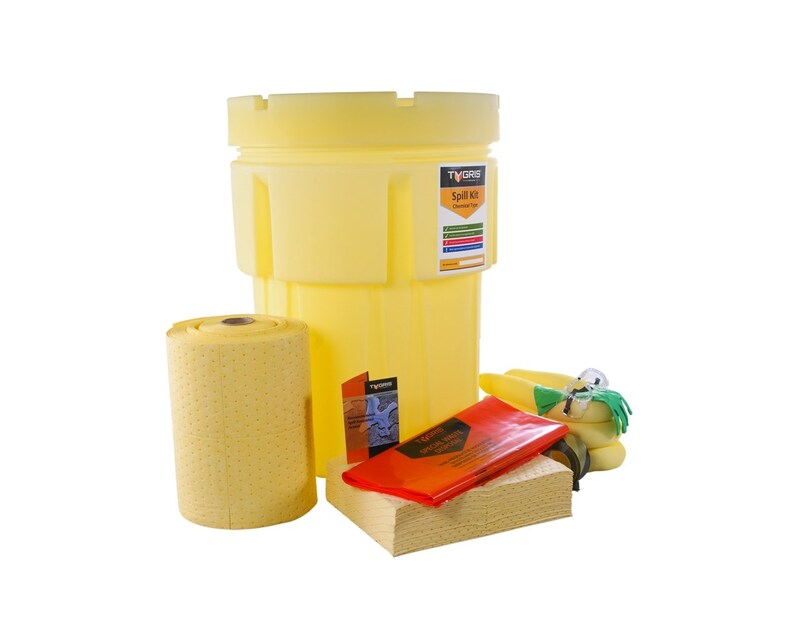 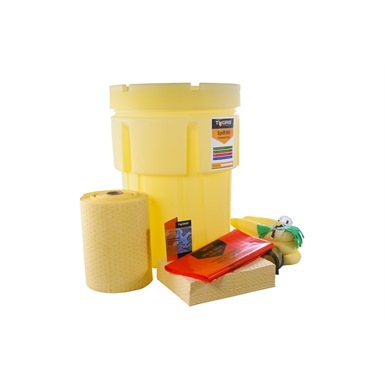 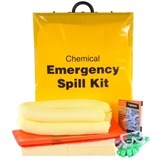 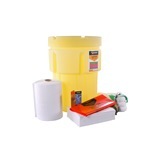 Tygris 200 Litre Chemical Overpack Drum Spill Kit is designed for the safe cleaning of spills, and the containment of leaking drums. 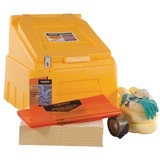 Contained in a functional and strong overpack bin - housing all the necessary materials and safety equipment required. 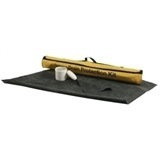 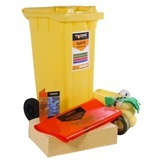 The bin itself has absorbent mats and socks, as well as absorbent rolls, waste bags and barrier tape packed inside, as well as in addition to a pair of gloves, a pair of goggles and a pair of coveralls. 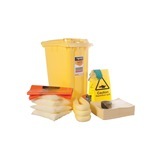 The bin is designed for containing the leaking drum, whilst you use the absorbents to clear up any excess spillage.